What’s the inspiration for K’Bro? My son has sensory processing disorder; he’s on the sensory-seeking side and it made him very active in school. That got him some unwanted attention and started to cause some self-esteem issues. So early on we started to work with therapists to help bolster him up and learn how to live with sensory processing disorder. We did a number of things to help him realize that he really is a good kid, a kind and caring kid, and that really transformed things in his elementary school years. That’s what we’ve tried to build into K’Bro: an excuse to say something positive about yourself, to name the emotions you’re really feeling, so that you know that you’re angry right now because somebody was mean to you at school. Or that you are in a really positive emotional state because you had a particularly good day. Those are the things that we’ve tried to gamify in the app; we want to make it fun. How did you come up with the idea to gamify what are essentially mental health interventions? You have to find kids where they live. And where do kids live, especially boys? They live in games; it’s their language. So instead of trying to stick them in an office and make them stare face to face with a he therapist they don’t really want to see – let alone talk to – we want this app to reach them where they are naturally. How can K’Bro help parents support the development of emotional resiliency in their kids? That’s not an easy thing to teach; so many of us adults are still learning ourselves. That is actually part of the problem. In an ideal world, you want your kids to be able to come to you and feel comfortable enough to share what’s going on in their world. But we don’t live in ideal world, and so many parents have their own issues and are really not in the right place to support their kids. So that’s part of why we built in an anonymous sharing site, a place where users can go and get peer advice – which is especially valuable when kids are at the age where they’re pulling away from their parents. 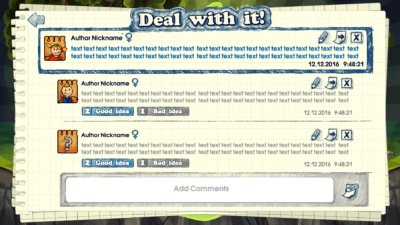 We’ve set it up so there are ratings – users can rate advice as helpful or hurtful, or good idea or bad idea. Down the road, we want to actually improve the engagement between kids and parents. Parents will be able to subscribe to get a weekly summary of their kid’s emotional well-being. They’ll get the average for the week, and if it’s trending downward, they’ll get a conversation starter kit that points them in the direction of what they might want to chat about with their kid. But we will not reveal anything that the child has shared in the app to the parent; what a child shares will always be anonymous. How does K’Bro work? 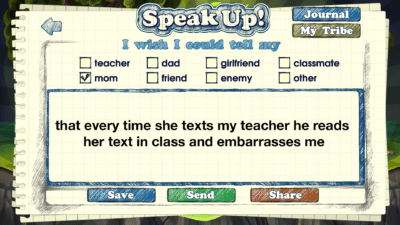 I understand that there’s a game component to it, and places within the app where the kids can express concerns and their emotional state. 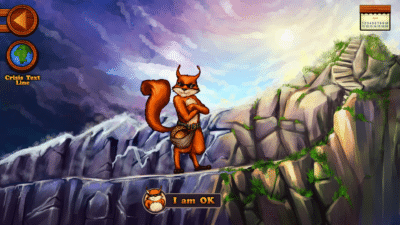 The game is really just the hook; users navigate a squirrel through obstacles to collect acorns and move up levels. It’s about naming emotions and building emotional literacy, and there’s a leader board associated with it, so boys will want to share it with their friends. Once users get further into the app, it’s part knowledge-based and part anonymous sharing. And I hate use this term because boys hate it, but it’s also part gratitude practice. Eventually, we hope to have just-in-time text therapy from coaches who specialize in teen issues. What do boys think of K’Bro? I worked with boys from ages 12 to 18 to get their feedback. What was profound for me was how much they wanted to have a way to share what’s going on with them emotionally. It made me realize how deep and strong these emotions are that the boys are having, and that there is no safe place for them to let those out. Want to know more? 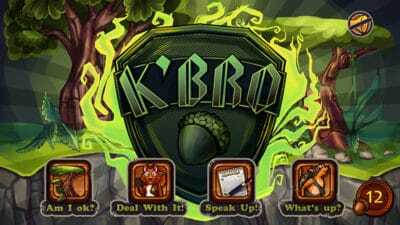 Check out the K’Bro website, and find the app in the Google Play and iTunes App stores.